What did you built for you studio this weekend? A backdrop mount? A Light Stand? A ghetto glamor contraption? If you are one of those PVC dudes (no shame in it. 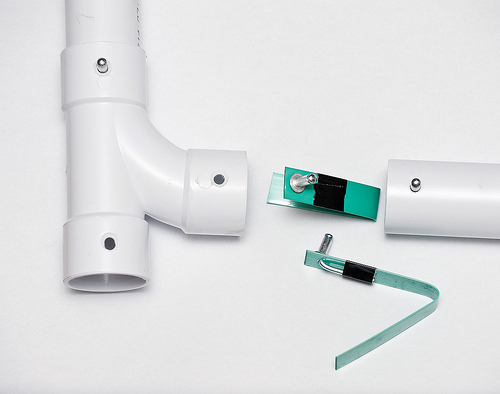 I am a PVC dude), you’re bound to appreciate this little PVC trick that makes binding pipes a snap. (pun completely intended). Flickr user mr-quad share a great way to make any PVC studio construction quick to setup and quick to tear down. “This stops any twisting or separation of your pvc frames. For full instructions and tut click the image above. Where can I find this to buy ?